1) Moving I’m now officially an east-sider. Mike and I finally have our place (mostly) set up, and it really feels like home. 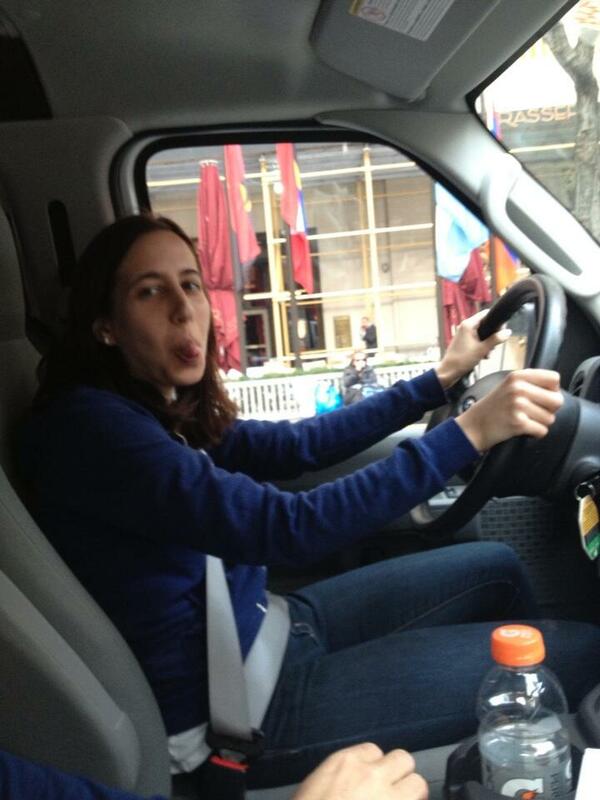 We moved ourselves (with help from my dad, brother, and friend Nadia)… here’s me driving the U-Haul van. 2) A Promotion Work has been kind of hectic lately (in a good–no, great–way). The week I moved, I was also promoted to Associate Editor at Good Housekeeping. Even though I’ve been working at GH for 3.5 years and I’m doing a lot of the same things I’ve been doing for a while, it still feels a little like a new job. That’s exciting (new assignments! more responsibility! new challenges!) and also a little stressful as I figure out how to do well in my new role. Now…if only I could find the time to catch up on my reading challenge!